two components, related to the CCD electronics, i.e., the dark current signal (dealt with separately) and the charge release. The background model takes into account only the stray light, which provides the biggest contribution to the background signal and dominates the other components by a factor which depends not only on the CCD but also on the position inside the same CCD, as evident in Figure 5.6. 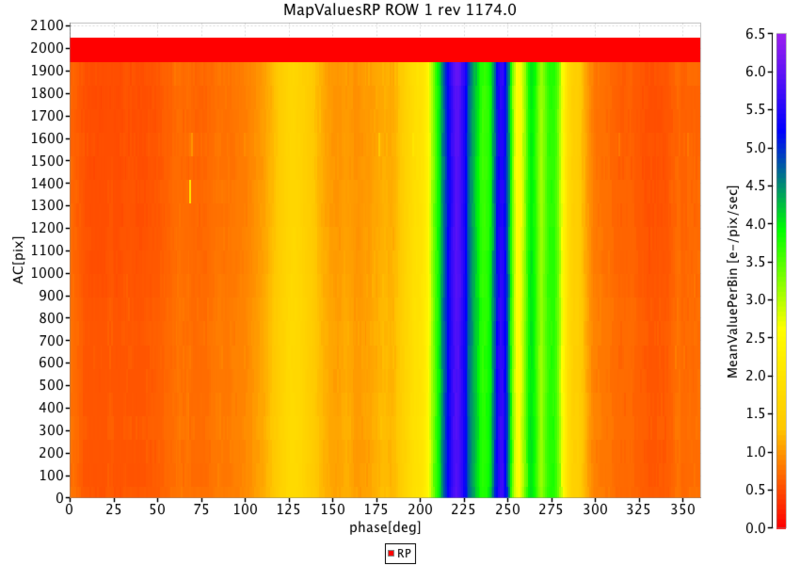 The worst case is for BP ROW 7 where the stray light can reach values of ∼ 27 electron/pixel/second, i.e. more than 100 times the average sky background level of ∼ 0.2 electron/pixel/second. The majority of the stray light is caused by the Sun and the strength of this effect depends on the position of the Sun with respect to the satellite. It shows a periodicity corresponding to the satellite spin phase and a slow evolution in amplitude with the orbital solar distance. Other contributions are in phase with the scanning law, showing contributions from the Ecliptic and Galactic planes. As a model we used a discrete map, obtained by accumulating two days of observations (Virtual Objects, i.e., empty windows acquired for calibration purposes) with distance from the charge injection higher than 50 TDI lines (to avoid the charge release component). For every transit, the median value on all samples is computed, to avoid the accidental contribution of cosmic rays, and also the AC coordinate and the heliotropic spin phase (Figure 3.4) are calculated. The map is built on a grid of 360 bins in the spin direction (one bin is 1 degree) and 20 bins in the AC direction (one bin is ∼ 200 pixels, corresponding to ∼ 35 arcsec). All the transits belonging to the same bin are averaged to obtain a median value, to remove outliers. Examples of stray light maps are shown in Figure 5.6. For details about the use of these maps in the processing, see Section 5.4.2. 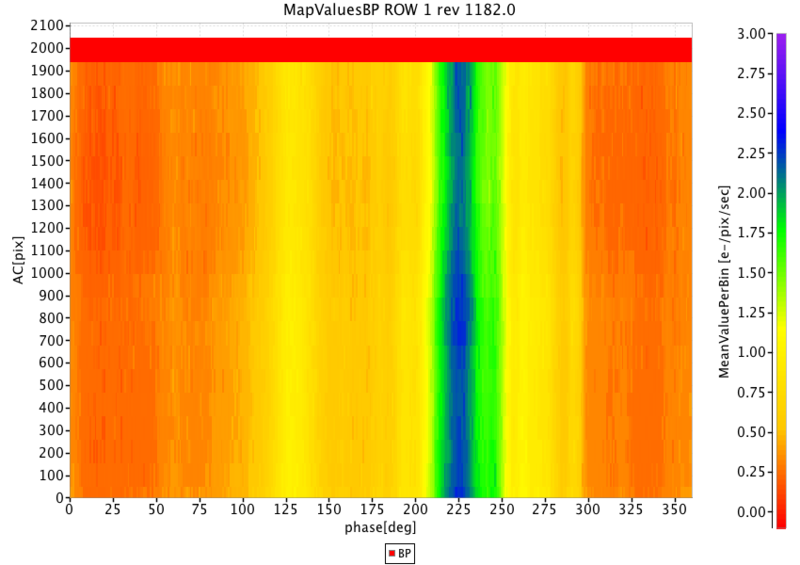 Figure 5.6: Two examples of stray light maps, BP CCD row 1 on the top and RP CCD row 1 on the bottom. In abscissa is the spin phase (in degree) and in ordinate the AC coordinate (in pixel), while the colour scale indicates the value in electron/pixel/second.